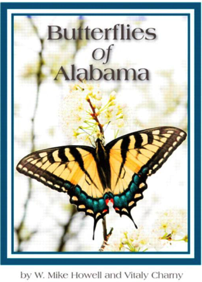 It is my honor to interview Sara and Paulette about their plans to create an on-line Alabama Butterfly Atlas. 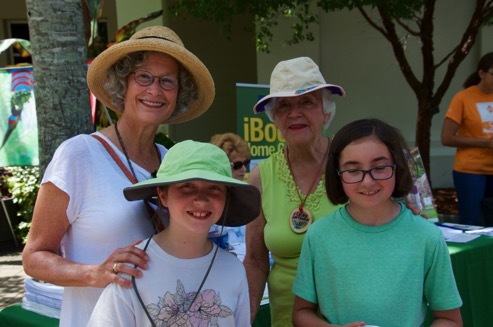 By good fortune, I meet Paulette at the Moss Ross Festival and she motivated me to add an eco mystery about butterflies to my on-going eco mystery series. Sara Cunningham Bright is a professional photographer whose work has been featured in Canoe, Southern Living, Birder’s World, Outdoor Life, Geo, and Portico, and is on permanent display at McDonald’s Corporation, Alabama Power, Wachovia Bank, and the Birmingham Botanical Gardens. Paulette Haywood Ogard has taught classes on wildflowers and native plants at the University of Alabama at Birmingham and conducted workshops throughout the southeast on wildlife habitats, butterflies, and butterfly gardening. Paulette and Sara are the co-authors of Alabama Butterflies: Glimpses into their Lives. Claire: What first sparked your interest in Alabama's Butterflies? Paulette: As long as I can remember, I have been interested in anything that crept, crawled, or flew, but when I was 5 years old, a dear family friend gave me the book What Butterfly Is It? by Anna Pistorious. It was illustrated with her vibrant depictions of butterflies and caterpillars. I have been hooked ever since. Sara: Our parents took us into the woods often. I grew up comfortable in and appreciative of Alabama's natural beauty. When I was 8 years old, my brother started a butterfly collection. While out with him one day, I experienced a moment of sheer awe at the beauty of a female Eastern Tiger Swallowtail. That experience remained so vivid and important to me that I was able to identify the butterfly decades later. In her book The Sense of Wonder, Rachel Carson says, "If facts are the seeds that later produce knowledge and wisdom, then the emotions and the impressions of the senses are the fertile soil in which the seeds must grow. The years of childhood are the time to prepare the soil." I'm grateful that my parents took me into Alabama's natural ecosystems and instilled a sense of wonder for them in me. Paulette and Sara: We were originally going to collaborate on a wildflower book. The emphasis was going to be on natural history, and most of the photos were done. On our first field trip together, that natural history came alive in a big way—while we were looking at a Cutleaf Toothwort flower, a tiny Falcate Orangetip butterfly flew over and began to lay her eggs on it. We were both enthralled, and from then on, butterflies and their relationships with native plants have been our focus. Claire: What inspired the idea of creating an Alabama Butterfly Atlas project? 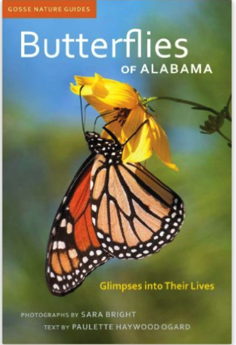 Paulette and Sara: Like all worthwhile projects, the Alabama Butterfly Atlas (ABA) has come about as a response to a compelling need. Alabama has one of the richest assemblages of butterflies in the country, but until recently, they have been overlooked and under-studied. 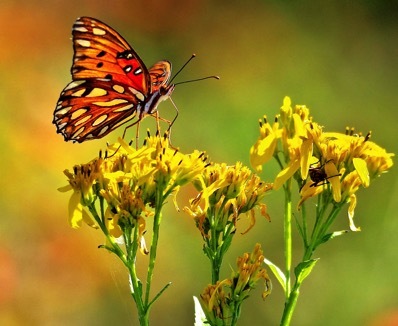 Many states report sharp declines in butterfly species (the drop in Monarch numbers has even sparked a national recovery campaign), but the status of most Alabama species is unknown. 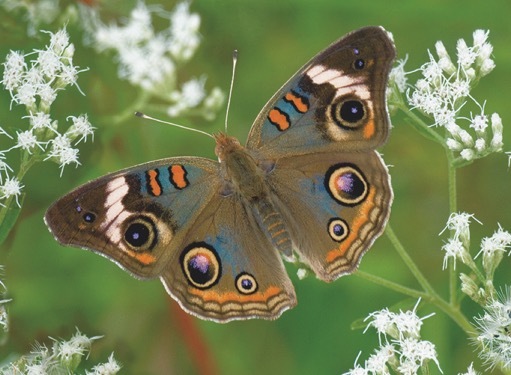 In response to this need for knowledge, a small group of butterfly specialists and wildlife professionals convened at the University of West Alabama in 2013 to discuss creating an online butterfly atlas based on the model of the highly successful Alabama Plant Atlas. 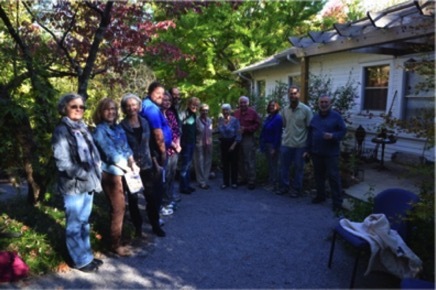 The Alabama Butterfly Atlas Steering Committee was formed and has worked to conceptualize, develop and fund the project. 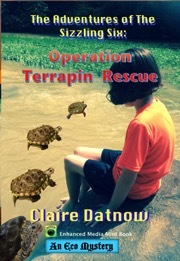 Claire: How do you envision the project? Paulette and Sara: The Alabama Butterfly Atlas will be a user-friendly website that will allow a broad segment of Alabamians to study our state’s butterflies. The 50,000+ observational records we already have will become accessible to schools, home gardeners, conservation groups,and public green space planners, enabling them to make informed decisions about beneficial butterfly plantings and conservation land use. The heart of the atlas will be the species accounts which will include photographs of butterflies with clearly identifiable field marks as well as each life cycle stage, distribution maps, flight charts, identification tips, life history and gardening information. Users will be also be able to access data by county, region, and selected public lands. Because the interrelationship of butterflies and plants is so important, the website will be live-linked to the Alabama Plant Atlas (floraofalabama.org). By merely clicking on a nectar or host plant name, the appropriate page on the plant atlas will open so that users can see what the plant looks like and where it occurs in the state. As far as we know, this will be the first butterfly website to make this valuable connection. Claire: What organizations and individuals will lend their expertise to shaping this project? Paulette and Sara: Vitaly Charny and Dr. Mike Howell, authors of Butterflies of Alabama, are also members of the ABA Steering Committee. Vitaly maintains a database that contains thousands of Alabama butterfly records, many of which are his own sightings. He also started the Butterflies of Alabama public group on Facebook. Mike is field biologist emeritus at Samford University and spearheaded the writing of the first scientific paper on Alabama butterflies in more than 50 years. Other committee members bring a variety of talents: Dr. Mary Jane Krotzer, Dean of Arts and Sciences at Stillman College, is a wonderful photographer and will serve as photographic editor; Dr. Grant Gentry, a biologist at Samford University, has studied caterpillar defense mechanisms; and Dr. Andy Rindsberg, a geologist at the University of West Alabama, has butterflied extensively in the Black Belt region. The University of West Alabama Foundation and Wild South have made a vital contribution by agreeing to act as fiscal agents so that contributions for this project are tax deductible. Claire: What are the steps needed to launch this project? Paulette and Sara: One big step was the official Kick-off meeting that took place at Samford University on October 10, 2015. Butterfly enthusiasts from across the state came together to hear about the plans and to offer input. It was a great day! The next crucial step is to fund the project. Our committee is made up of a very dedicated group of volunteers, but we have no built-in funding source. Although many avenues are being explored, individual contributions—large or small— are key. 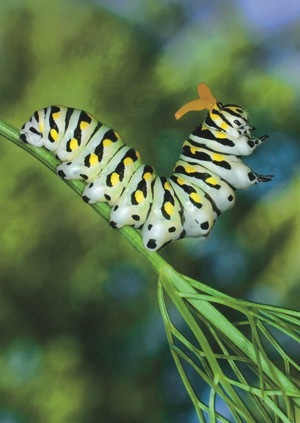 We hope that readers will support the Atlas by donating online at http://wildsouth.org/help-al-butterflies/) or by mail to Wild South;13 1/2 West Walnut Street; Asheville, NC 28801. (Be sure to write “Alabama Butterfly Atlas” on your check). Contributions are tax deductible. Claire: How can people become involved in the project? Paulette and Sara: Once the website is launched, citizen scientists of all ages can submit records of butterfly sightings. We need to document which butterfly species occur, where and when they fly, and which plants they use for nectar and for their caterpillar hosts in our state. Some counties only have one record, so we need lots of observations to begin to fill in the gaps. Instructions for submission will be found on the website. 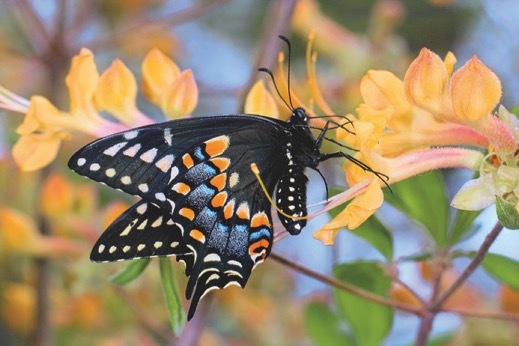 In November, we are excited that AL.com will feature a Butterflies of Alabama Slideshow composed of fifty amazing butterfly photographs contributed by thirteen Alabama photographers. It will be accompanied by an article that will share information about the upcoming website. We hope that everyone will become involved by watching it, reading it, and then sharing it with everybody they know! Your readers can help spread the word — Butterfly education in Alabama is taking flight.